Stewardship is undeniably an essential part of any development effort, whether for annual fund, capital, or planned giving support. Much of what is required for good, solid stewardship is simple common sense. Unfortunately, it’s far too often not common practice. 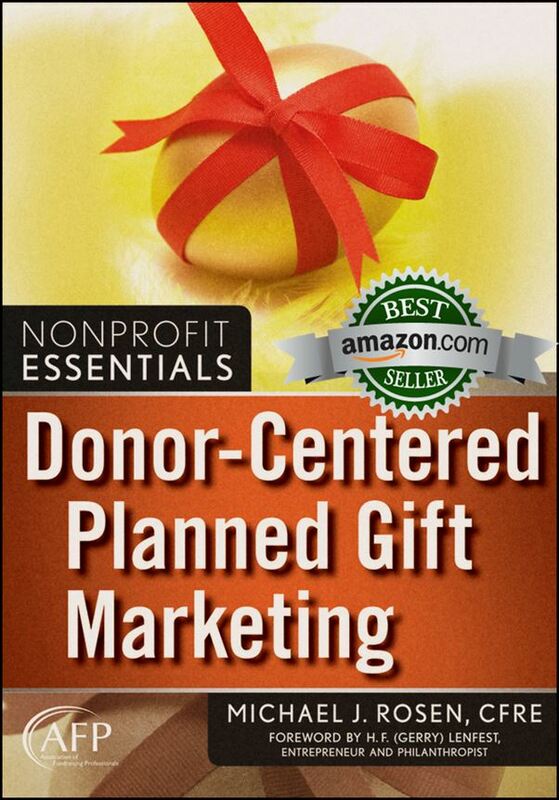 That’s why mega-donor H. Gerry Lenfest reminded nonprofit professionals of the importance of stewardship when he wrote the Foreword for my book, Donor-Centered Planned Gift Marketing. Good stewardship means sending out an appropriate thank-you letter immediately after receiving a gift. But, as Henri Frederic Amiel pointed out, gratitude is about much more than simply sending a thank-you letter. 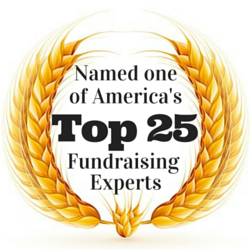 Organizations need to demonstrate that they truly appreciate the support of donors. As Lenfest suggests, stewardship need not involve a huge expense and lots of trinkets. Let’s face it, planned giving donors, for example, don’t exactly want a t-shirt that says, “I’m dying to give!” Instead, stewardship should involve a show of appreciation and an explanation of how gifts have been or will be used. The donor gets a written thank-you letter from the development professional within two business days of a gift or gift commitment being received. The organization’s CEO or Board Chair sends a thank-you letter. A board member calls the donor within a week of receipt of the gift to express appreciation. The organization thanks donors by name, unless the gift was anonymous, in its newsletter. The organization thanks donors by name, unless the gift was anonymous, in its annual report. The donor gets thanked with an invitation to a donor recognition event. The donor gets thanked at other types of events throughout the year. As Greenfield suggests, thanking donors has many benefits. And, when the show of appreciation includes information about how gifts have been or will be used, donors will appreciate the effort and powerful things will happen as a result. For example, I once implemented a phone fundraising campaign for a hospital. For our control group, we simply explained the purpose of the current campaign and asked for support. For the test group, we told prospects how annual fund support was used in the previous year. Then, we told them the purpose of the current campaign and asked for their support. The test group, generated 68 percent more support than the control group! Thank donors promptly and warmly. Give donors information about how gifts are or will be used. Honor the intentions of donors. Use a donor’s gift how you told the donor it would be used. Recognize the donor in the way you agreed to. If you do these three things, you’re organization will distinguish itself from many other nonprofits and will be better able to maintain and increase the support of its existing donors while attracting new support as well. Jerry, thank you for your very kind comment. I greatly appreciate it. Another great blog installment, and you hit the nail on the head again. Donors don’t want expensive gifts when they give. They want to know that their gift goes to the program and is used the way it is intended. They do want acknowledgment that the gift has been received, and I whole-heartedly agree they should be thanked immediately (customer service important) and in several ways. By doing so over a period of time, organizations make partners of the donors, and as the partnerships grow, they can and will open more doors to more potential donors and partners. They will act as ambassadors for the organization. Too many times I have seen donors forgotten once the check has been cashed, until the next ask is made. Stewardship requires frequent contact, and each contact should not include another request for money. However, each contact should include a thank you for their support, and a request for ideas how they might help in other ways, like asking for advice or who they might know that would share their interest in the organization and its programs. Richard, thank you for commenting. I was particularly struck by your use of the phrase “…organizations make partners of the donors…” Renata J. Rafferty, in her book Don’t Just Give It Away, advises philanthropists not to ask for detailed reports, “Let [the organization] know that you are not looking for a report. A report is a document of length and detail that is usually designed to obscure both the excitement and problems that are being encountered. You truly want the charity to view you as a partner in its work, and partnerships are successful only when all parties can be candid with one another.” Simply put, donors want partnerships with the organizations they support. So, you’re exactly on target. Thanks for making the point. Janet, thank you for commenting. I’m glad you enjoyed the post. Coming from you, the praise means a great deal to me. So my readers know, you’re now at the Buffalo Bill Historical Center in Cody, WY (http://bbhc.org). I had the enormous pleasure of visiting the Center several years ago. It really is a national treasure. Despite being out-of-the-way for most people, folks really should make an effort to visit at least once in their lives. Besides, Wyoming is a gorgeous state making a trip to Cody even more worthwhile. Great post, Michael! I truly enjoy reading your blog and consider it one of the best out there for nonprofit and fundraising professionals. Stewardship can be a fun topic, one way that has been successful for me in the youth development field involves letting my populations do some of the thanking. In a one person or small development shop, it can be hard for a Director of Development to coordinate multiple thank-yous as Ms. Hedrick suggest (although I agree it would be very effective). I have had kids & parents participate in thank-a-thons and call donors (well organized with staff supervision). This has been received very well by donors and increased donor retention and end of year giving. Board members were present at the thank-a-thons to write handwritten notes while kids/parents made calls. The events had great board participation, but more importantly everyone had a lot of fun. There are other ways to include populations and this is where development shops and NPO leadership can get creative. A couple of truly unique ideas that will never be forgotten can take the place of scheduled notes and calls. The point is not to take it all on in-house or leave the responsibility to just one person. Ian, thank you very much for your kind and helpful comments. Your opening might have actually made me blush. The most important thing about stewardship is to do it. A less than perfect stewardship effort is better than no stewardship effort or a terrible stewardship effort. However, as you suggest, a truly creative stewardship program can serve both donors and volunteers. And, it can be quite fun. To optimize the stewardship effort, I certainly agree that it is useful to bring others into the process. Penelope Burk, in her book Donor Centered Fundraising (http://astore.amazon.com/mlinn-20/detail/0968797814), provides the results of her research about stewardship and the enormous impact that board involvement can have on donor retention and upgrades. Your experience supports her findings. Thanks again for taking the time to share your insights! It’s great that the subject of stewardship “seems to be attracting more attention than usual.” On the other hand, how unfortunate that there isn’t always more (even most) attention. As Roger and Tom (http://theagitator.net) always say, loyalty is the Holy Grail of fundraising. How do we expect to develop loyalty except through good stewardship? I think of “stewardship” as the basics: prompt thank-you letter, donor-centered newsletter, some form of public donor recognition. I think of relationship building as beyond stewardship. 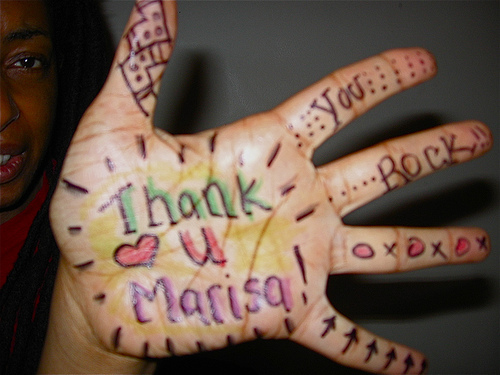 For me, relationship building includes donor-centered communications and extraordinary experiences. It’s through stewardship and relationship building that we nurture loyalty and lifetime value. I’m a big fan of Adrian Sargeant’s great research on donor loyalty and lifetime value. His book, Building Donor Loyalty (http://astore.amazon.com/mlinn-20/detail/078796834X), is a must-read for all fundraisers. Keep Your Donors (http://astore.amazon.com/mlinn-20/detail/0470080396), which I co-wrote with donor communications expert Tom Ahern, describes relationship building in detail. All kinds of things we can do to nurture the relationship with our donors in a donor-centered manner. And, for that ultimate gift (I love you so much I’m going to give to you after I die – a bequest) … that comes from our loyal donors. Check out my homepage blogs (http://simonejoyaux.com) for lots of relationship building/stewardship examples. Read my web column at http://nonprofitquarterly.org. And, check out Ken Burnett’s book The Zen of Fundraising (http://astore.amazon.com/mlinn-20/detail/0787983144). Simone, thank you for sharing your wisdom, book recommendations, and useful links. I also thank you for sharing and promoting a donor-centered style of philanthropic development. I’ve added links to your comment post to make it easy for readers to check-out the resources you’ve identified. For those who want to browse Reader Recommended books, they can visit The Nonprofit Bookstore (powered by Amazon) by going to http://astore.amazon.com/mlinn-20?_encoding=UTF8&node=8. Michael, as always, your insights are spot on! The timing of your column couldn’t be better as I embark on moving a “donor wall” recognition system into a more modern, interactive version. Gratitude was a word that came up several times during a focus group disucssion about who the new donor recognition system will recognize and what the system will look like. With heightened competition for contributed dollars, stewardship is more important than ever. Thank you for sharing these insights and tremendous resources! Brenda, thank you for your kind comment. One of the things that concerns me about the post is that the folks who need to read it the most are those that are least likely to do so. On the other hand, that just makes fundraising easier for the rest of us.